We are your Sussex-based solution if you are looking for specialist film for your residential windows. 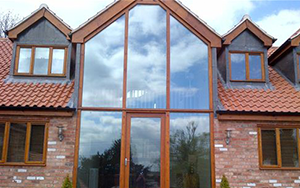 With our specialist films, we have helped many home owners solve window related problems, such as glare, privacy and poor security. Regardless of your reasons for looking for home and residential specialist window films, we can help! 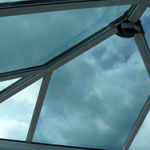 We are a highly experienced and reliable specialist window film service in Sussex. Over the past few decades we have made thousands of customers happy. Our technicians are fully trained in the installation of specialist window films so we guarantee that you, just like all of our past customers, will be deeply satisfied with the services we offer. In the rare event that you are unhappy with the quality of work done anywhere around your residence, we will immediately come back to address any concerns. We only use the highest quality films so you can be sure of a high quality finish, and benefit from a 10 year guarantee. We are based in Sussex so all customers enjoy a free on-site quote for all residential specialist film projects. Our team of experts will come to your home to take a look at the amount of work that needs to be done to get your windows exactly how you want them. Our free quotes are fair, competitive and transparent. We don’t change prices over the course of carrying out your project. Not sure about which product to use? It is part of our job to ensure you make the best possible decision. Our level of experience means we will get right at the first time of asking! Get in touch today with any questions, or to book a free inspection. Your beautiful windows may be adding to uncomfortable temperature levels around your home and overworking your cooling systems. This is especially the case in rooms such as conservatories where there is a lot of glazing. 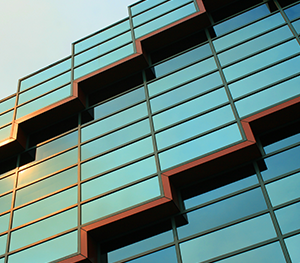 With our diverse range of specialist window films, you can drastically cut down on the heat penetrating the windows in the summer, and even reduce heat loss in the winter. Our homes are supposed to be secluded and private. In some cases, however, neighbours and passers-by can see through windows, advertently or inadvertently cutting down on the degree of privacy offered by the home. We offer a wide range of specialist window films that can improve privacy in and around the home without taking anything away from your interior and exterior decor. You will no longer have to battle with whether to close your curtains in the day! Do you have pets or children? Are you worried about your glass windows breaking? Our specialist window films ensure that the fragile window glass around your home is adequately protected against playing kids, pet or general domestic accidents. Our range of specialist safety and security window films are some of the best you can find today. They make your windows stronger, shatter-proof and can even prevent burglars getting through. When sunlight streams through your windows your furniture and flooring will begin to fade. We have the best specialist window films to drastically cut down the impact of direct sunlight on your property, furniture and general flooring.